The Good: Eyes to Kill Excess Mascara comes with what’s described in the business as a “teddy bear brush” (don’t ask me why it’s called that), meaning the bristles are densely packed, in all directions. Also, the wand has a curved shape to mimic the curve of your eye. The pigmentation is a rich black, and while the formula is thick, it doesn’t get clumpy or flaky. My eyelashes don’t feel crunchy after applying this mascara. And while I only had a sample of this mascara, I have looked at and handled the full-size product in person. 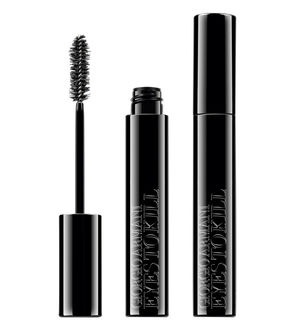 Eyes to Kill Excess mascara comes in a very attractive, black-laquered, engraved casing. The weightiness definitely adds to the luxuriousness of the product. 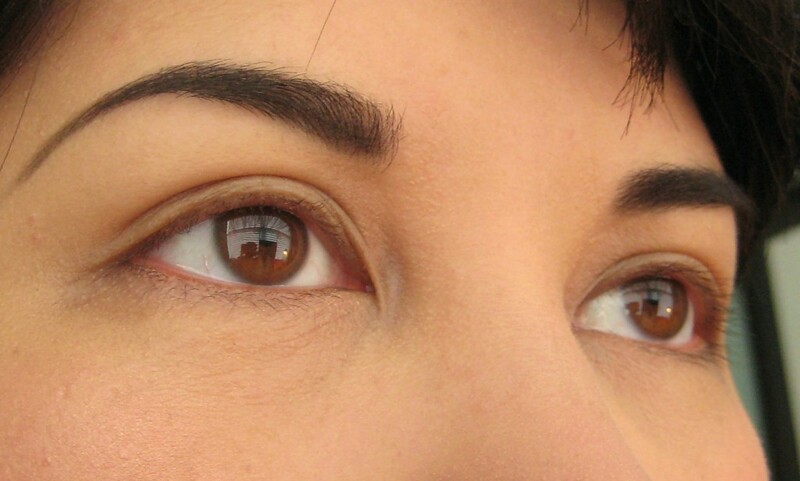 The Questionable: From my photos below, you can see that without mascara my lashes are nearly invisible. 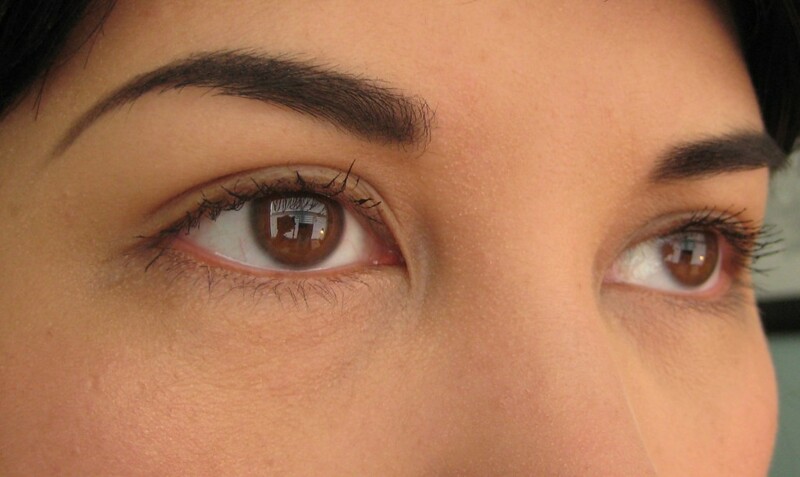 After applying the Eyes to Kill Excess mascara, my lashes stand out more, but I don’t achieve life-changing results. To be fair, I’ve never experienced that from any volumizing mascara. And also, I have always had trouble using mascaras with a teddy bear brush. I try to apply mascara as close as possible to the base of my eyelashes, and as a result, I often poke my eye with these bristly-type brushes. The Verdict: Per the product website, this mascara is “the ultimate weapon in eye seduction.” That claim didn’t quite hold true for me, and Eyes to Kill Excess won’t dethrone my longtime favorite Dior Diorshow Iconic Mascara. But if volumizing mascara is your thing, and you like buying prestige cosmetics, then this is a solid option for you. Mascara really is just a matter of personal preference. And with my puny lashes, I’m more of a lengthen, thicken and curl mascara type of girl.